18" overall. 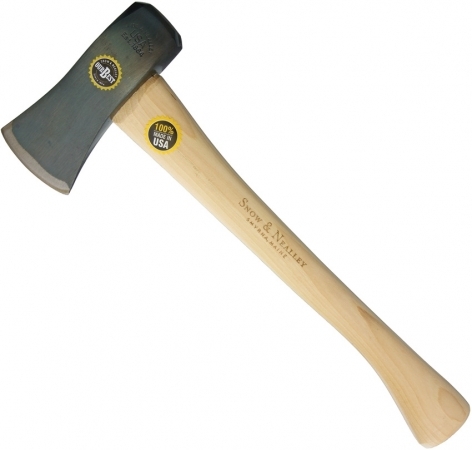 6.5" carbon steel axe head with 3" cutting edge. Hickory handle. 3lb axe head. Brown leather sheath. Bulk packed.